In the modern day business environment, the need for speed is greater than ever. We are now connected on a 24/7 basis, with clients expecting fast resolutions to any issues they face. In addition, having employees wait around for computers to load is a productivity killer. Slow computer networks are frustrating for business owners and can be caused by multiple factors. In this article, we discuss the main reasons why your computer network might be underperforming, and what you can do about it. If a business is battling against poor internet speeds then it is a guarantee that employee morale and business performance will suffer. A survey by Virgin Media found that 33% of employees find slow internet to be a major distraction, while business owners believe it costs each employee 15 minutes of work per day, which in larger organisations causes significant losses. Numerous hardware issues could be contributing to slug-like computer speeds. When a hard drive gets to around 90% of its capacity, there is a noticeable decrease in performance – the computer may freeze regularly or be very slow in loading programs. The answer is either to free up some space by deleting files, or choosing to upgrade your hard drive. Similarly, business computers may have insufficient memory for the type of work they do, with tasks involving graphics or videos often eating up computer memory rapidly. Again, an upgrade can solve this issue and rectify any speed problems. In an ideal situation, all the computers on a business network should have real-time virus and malware protection constantly running. However, this can sometimes cause a slowdown in computer performance, so monitor the situation closely – it may be better to run scans when the office is closed for the day. Incompatible software can be another bottleneck. For example, some older software programs will not work with Windows 10, or a wireless printer may have a hard time co-existing with the network of computers. These issues are harder to resolve and may require the attention of an IT maintenance team. 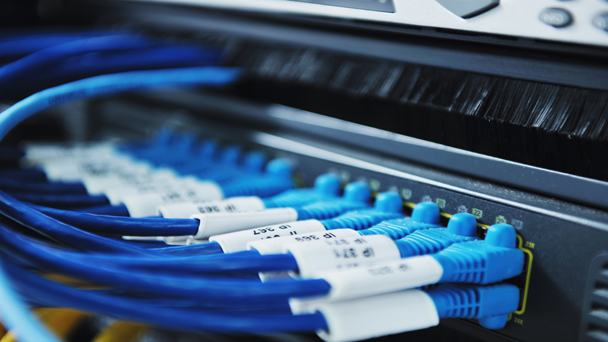 As technology improves at a breathtaking pace, it is important to regularly renew your network and its fleet of devices (if your current hardware is more than 5 years old, then an upgrade might be in order). Financial restraints may mean any purchases have to be postponed, but there are still ways to try and keep speeds at a decent level, and refrain from overloading the existing network. Avoid having too many programs running at the same time, and ensure that all equipment is cleaned and kept free of dust to stop any mechanical breakdowns occurring. As can be seen, there are numerous causes of a slow computer network, and unless you have a dedicated IT team, then it may be better to request help in optimising your network. For a flat monthly fee, we help UK businesses increase their network speeds and enhance their productivity gains. Network Upgrades – When Is The Right Time?